It's nigh time. We’re approaching that season where the veil between worlds thins and we can periodically see visitors peek in and do, well, whatever they need. And, given what has happened a few times in the past, it is important to make sure we’re all on the same page. 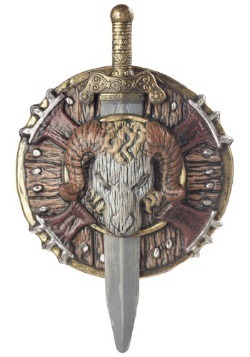 What do we say when some sort of odd gatekeeping extradimensional creature scowls at you and asks if you are a god? You know the answer, so there is no need to belabor that any further. But, just saying “Yes!” isn’t going to cut it anymore. They know that we know that, now, too! So, you have to know what kind of god? Which powers? Over which domain do you rule? Just think about it. 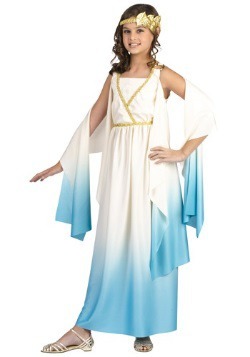 Meanwhile, it is time to don your divine garb of the Women's Greek Goddess costume. 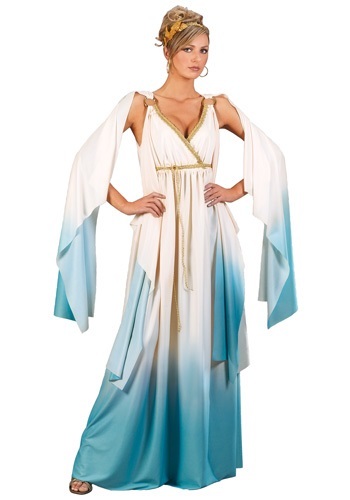 You’ll be right at home with Jupiter and Apollo in this glorious ombré gradient, floor-length, sleeveless dress that blends from cream to teal from top to bottom. As lovely as that is, alone, the accents are what truly make these cloths majestic. 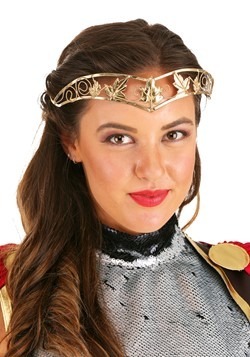 A gold braid edged V-neck and O-rings at each shoulder are matched by the gold leaf headpiece, all of which make for a clear marker of your divinity. So, the new question: Of what are you a goddess? … That one might take a bit longer, so we suggest you pick wine. 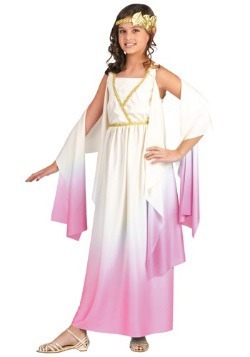 There are still big questions at hand, and the road to divinity is a very important one--but in this Women's Greek Goddess Costume, you should be okay. Our suggestion is to go with a group of gods who have a lot of experience and still know how to have a good time with the mortals. Off to Mount Olympus, then, to learn about the proper protocol, hierarchy, and your rights and responsibilities as a Greek Goddess. And get to the bottom of your powers! Spooked? Ha, don’t worry. The Greek Gods are quite casual about everything, so long as you don’t muddle up their own machinations. Then you might get a lightning bolt to the knee.